Urban Solar provides reliable solar LED lighting solutions for both area lighting systems and transit bus stops and bus shelters. For general illumination, Urban Solar offers two series: Solar LED Lighting (SLL) and Ready-Made Solar (RMS). 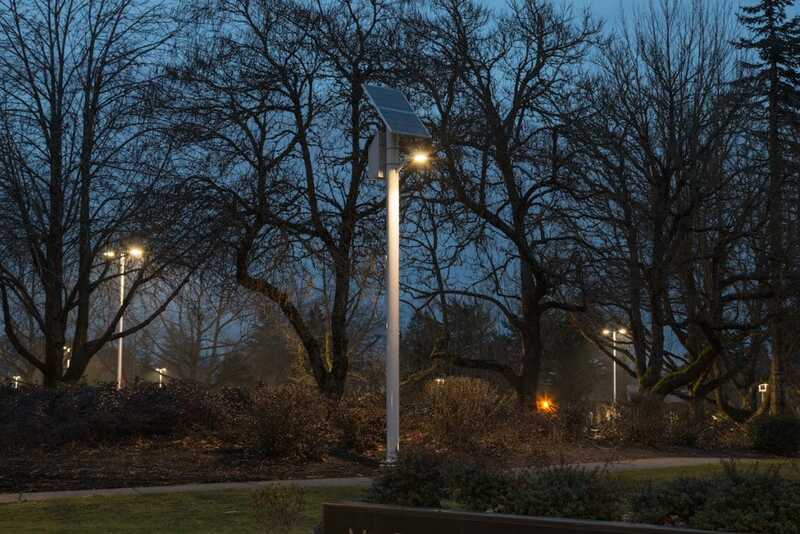 Urban Solar’s SLL (Solar LED Lighting) series is a complete pole-mounted system that provides reliable lighting for streets, parking lots, parks, playgrounds, trails and greenways. Solar arrays and battery banks are sized based on site conditions for reliable performance. ECM Connect™ optional wireless connectivity allows for remote control and monitoring. The SLL Series can power external bollard lights and other electrical loads in addition to overhead LED fixtures. Urban Solar’s RMS (Ready-Made Solar) Series offers sleek architectural design and year-round reliability for outdoor lighting applications. The compact all-in-one design is ideal for park, pathway, greenway and trail settings. Installation is fast and easy, and no specialized electrical knowledge or extensive site work is required. RMS systems position your community or business as an innovative leader in reducing carbon emissions and promoting environmental sustainability. 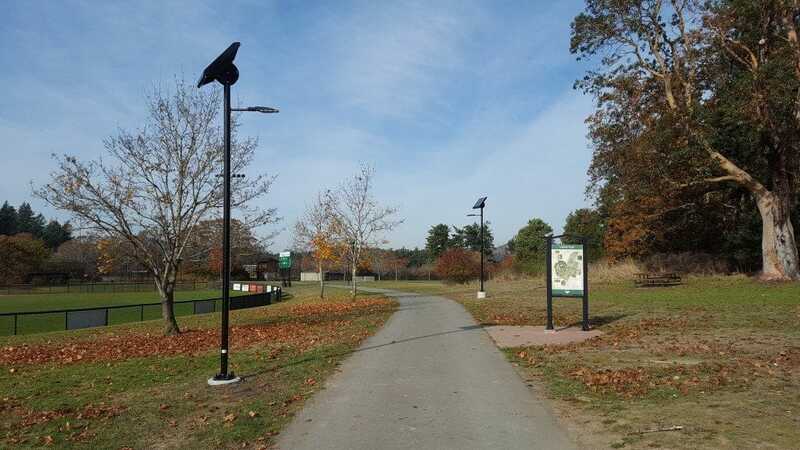 See the installation video on the Layritz Park case study to find out more about RMS Series commercial solar lighting. Urban Solar commercial solar lighting and solar power systems are independently tested for safety by Underwriters Laboratories (UL). Representative samples of this product have been evaluated by UL and meet applicable safety standards – as a single, complete operating system.